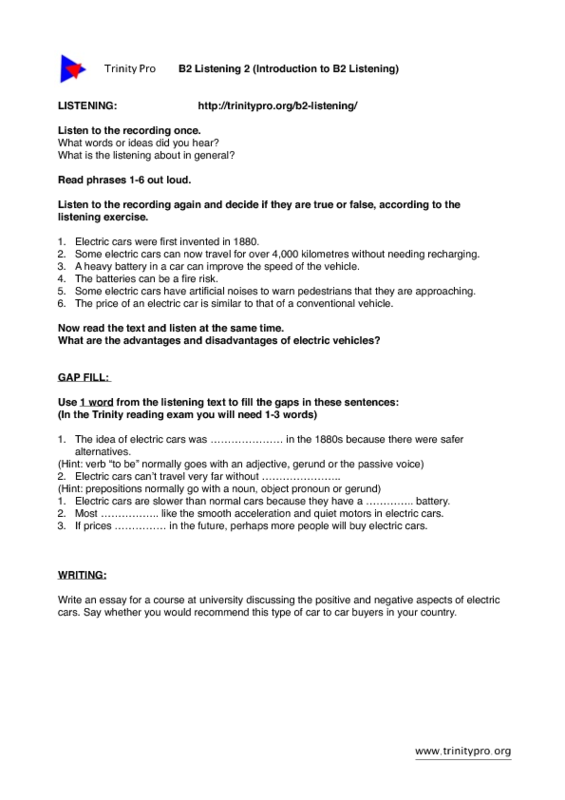 Introduction to ISE 2/ B2 level listening on subject of Electric Cars, to be used with audio #2 on webpage: http://trinitypro.org/b2-listening/. 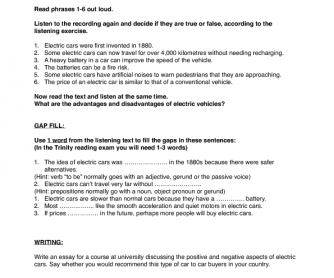 Sheet 1 contains listening for gist, true/false listening and gap fill using the text. Optional writing task. Sheet 2 has a tapescript.